Space is about to get crowded with the ventures of billionaire tech entrepreneurs. 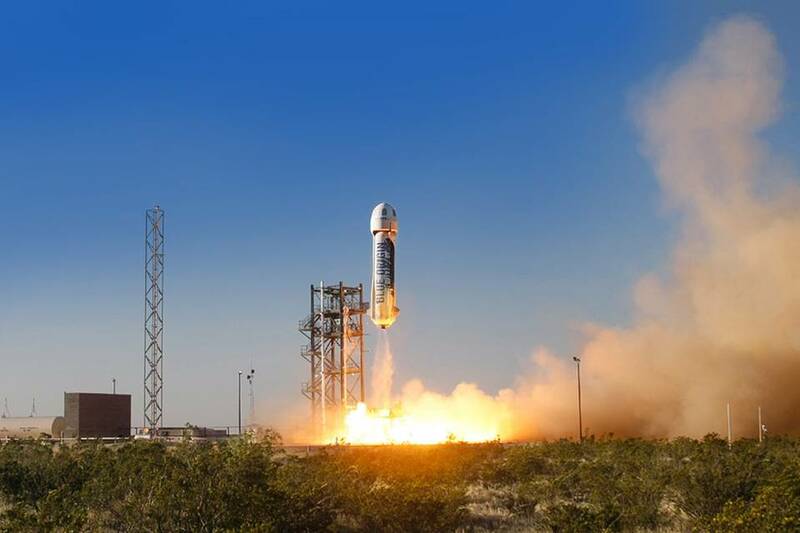 Amazon CEO Jeff Bezos has just announced that his private space company Blue Origin will be taking over a launch pad in Cape Canaveral, Florida that hasn't been used in a decade. Launch Complex 36, a facility once patronized by NASA's Atlas rockets and Martian Mariner probes, is about to become commercial space company Blue Origin's new digs. With a $US200 million dollar capital investment, the complex is getting a makeover and a flashy new name, "Exploration Park." Blue Origins is hoping to blast people to the edge of space later this decade using its New Shepard suborbital launch system. New Shepard, which consists of a booster rocket and a three person crew capsule, is designed to ferry people into low Earth orbit for several minutes and then (gently!) fall back to Earth will the aid of parachutes. The vehicle had its first uncrewed test launch in April and Bezos says he plans additional details public sometime next year.